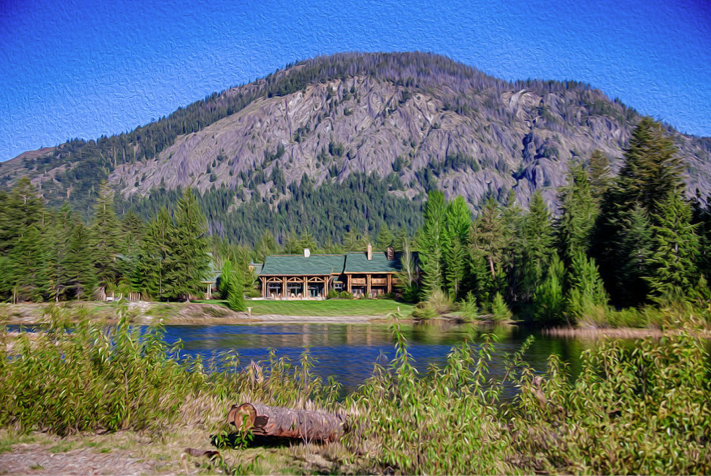 The Freestone Inn in Mazama Wa is a gorgeous Lodge in the heart of the wilderness. Sitting quietly on the shore of a small lake, the lodge is a great vacation destination that offers many outdoor recreational opportunities. It is located along the Methow community trail and is close to the Mazama Country Inn. For those of you who have made the trek to the Methow Valley, you will know just how special of a place this is and for those who have not been here, I would highly recommend it as a place to visit.